Five occupants of a commercial vehicle reportedly died when their car rammed into a stationary truck. The incident, which involved a Toyota Sienna SUV with number plate Enugu MH 630 UWN, occurred at the Umunka village area of the Aba-Port Harcourt Expressway on Sunday evening. Some residents of the community, who witnessed the incident, confirmed that five occupants of the SUV died on the spot. Narrating the incident, one of the eyewitnesses, who gave his name only as Fred, said, “We were all here and the next thing we heard was a loud noise. But by the time we got to the scene, we saw the light green Sienna trapped under the truck, which has been stationary for some time now. “From the way it happened, it looks like either the driver lost control of his vehicle or he lost concentration. It could also be that he was not familiar with the road. Another eyewitness, who could not hide her emotions, lamented the death of the victims and stated that it was high time the Federal Government, through the Ministry of Power, Works and Housing became alive to its responsibility by making sure that Nigerian roads were safe for use. When contacted, the Aba Unit of the Federal Road Safety Corps, through its official line, said it had had yet to be informed of the accident. 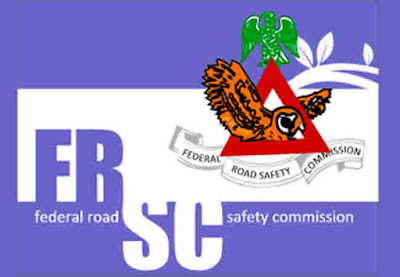 An official of the FRSC, who pleaded anonymity, said that the corps had dispatched a patrol team to the Aba-Port Harcourt axis of the expressway to investigate the incident. Some motorists, who spoke with Southern City News over the accident, lamented the deplorable state of the Aba-Port Harcourt Expressway. They stated that the road was long overdue for rehabilitation, especially because of its economic importance to the South-South and South East regions and the nation at large. One of the motorists, Gilbert Ndudim, lamented the high rate of robbery on the road, adding that a journey of less than 30 minutes from Port Harcourt to Aba, Abia State, was now taking over two hours. Ndudim also criticised the federal, Abia and River state governments for allowing the road to deteriorate to a terrible level, even as he called for urgent palliative work on some of the bad spots since the rains had subsided. He argued that this was necessary because of the expected increase in vehicular movement on the road during the Yuletide.